Jim Laslavic and his lovely wife, Susan at the Coronado Cays Yacht Club. 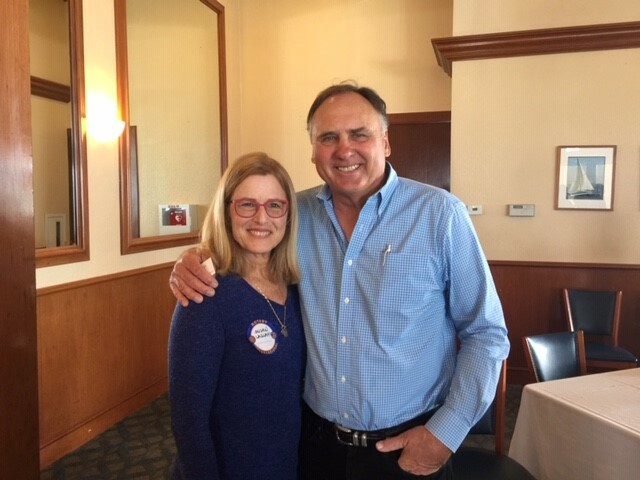 Coronado Rotary Club celebrated “Jim Laslavic Day” after his recent retirement from a 30-year broadcasting career and 10 years in the NFL with the Detroit Lions, San Diego Chargers and Green Bay Packers. Jim has been a long-time Rotarian and a driving force in the annual golf tournament for the past 20 years, raising over a million dollars for the Rotary Club Foundation. Congratulations to one of the nicest guys ever! Happy Retirement Jim!